I can't decide - what do you think? Definitely disturbing. 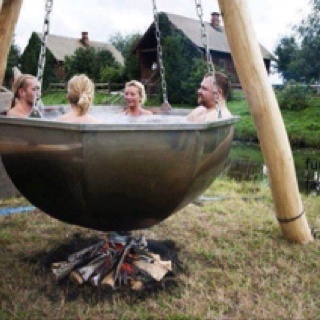 I can pictures cannibals hiding in the bushes and snickering, while taking turns throwing seasoning into the pot, I meant jacuzzi. Ace space saturday - orange!